The scariest sentence ever written: "It Was a Pleasure to Burn"
Every few years political cycles cause an uptick in attention being paid to classic dystopias; the 2016 Presidential election pushed George Orwell’s classic 1984 back onto the bestseller lists, and made Hulu’s adaptation of The Handmaid’s Tale a depressingly appropriate viewing event. The trend continues; HBO announced a film adaptation of Ray Bradbury’s classic 1953 science fiction novel Fahrenheit 451. If it seems surprising that a book published more than six decades ago might still be terrifying for modern audiences, you probably just haven’t read the novel recently. Fahrenheit 451 is one of those rare sci-fi novels that ages wonderfully—and remains just as terrifying today as it did in the middle of the 20th century, for a variety of reasons. If you’ve been alive for more than a few years, odds are you know the basic logline of Fahrenheit 451: In the future, houses are largely fireproof and firemen have been re-purposed as enforcers of laws that prohibit the ownership and reading of books; they burn the homes and possessions (and books, natch) of anyone caught with contraband literature. The main character, Montag, is a fireman who begins to look at the illiterate, entertainment-obsessed, and shallow society he lives in with suspicion, and begins stealing books from the homes he burns. This is often boiled down to a slim metaphor on book-burning—which is a thing that still happens—or a slightly more subtle hot-take on censorship, which by itself makes the book evergreen. 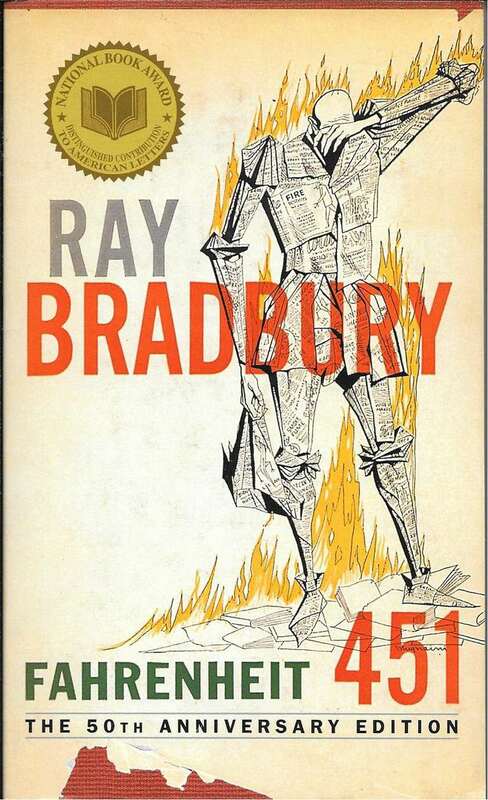 After all, people are still fighting to have books banned from schools for a variety of reasons, and even Fahrenheit 451 was bowdlerized by its publisher for decades, with a “school version” in circulation that removed the profanity and changed several concepts to less alarming forms (Bradbury discovered this practice and made such a stink the publisher re-issued the original in the 1980s). But the key to appreciating the terrifying nature of the book is that it isn’t just about books. Focusing on the books aspect allows people to dismiss the story as a book nerd’s nightmare, when the reality is that what Bradbury was really writing about is the effect he saw mass media like television, film, and other media (including some he couldn’t have predicted) would have on the populace: Shortening attention spans, training us to seek constant thrills and instant gratification—resulting in a populace that lost not just its interest in seeking the truth, but its ability to do so. In this new age of “fake news” and Internet conspiracy, Fahrenheit 451 is more chilling than ever because what we’re seeing is possibly Bradbury’s terrifying vision of the future playing out—just more slowly than he imagined. In the novel, Bradbury has the main antagonist, Captain Beatty, explain the sequence of events: Television and sports shortened attention spans, and books began to be abridged and truncated in order to accommodate those shorter attention spans. At the same time, small groups of people complained about language and concepts in books that were now offensive, and the firemen were assigned to destroy books in order to protect people from concepts they would be troubled by. Things are certainly nowhere near that bad right now—and yet, the seeds are clearly there. Attention spans are shorter. Abridged and bowdlerized versions of novels do exist. 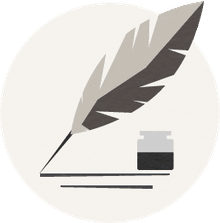 Film and television editing has become incredibly fast-paced, and video games have arguably had an effect on plot and pacing in stories in the sense that many of us need stories to be constantly exciting and thrilling in order to keep our attention, while slower, more thoughtful stories seem boring. And that’s the reason Fahrenheit 451 is terrifying, and will remain terrifying for the foreseeable future despite its age: Fundamentally, the story is about a society that voluntarily and even eagerly abets its own destruction. When Montag tries to confront his wife and friends with thoughtful discussion, when he tries to turn off the TV programs and make them think, they become angry and confused, and Montag realizes that they are beyond help—they don’t want to think and understand. They prefer to live in a bubble. Book-burning began when people chose not to be challenged by thoughts they didn’t find comforting, thoughts that challenged their preconceptions. We can see those bubbles everywhere around us today, and we all know people who only get their information from limited sources that largely confirm what they already think. Attempts to ban or censor books still get robust challenges and resistance, but on social media you can witness people’s hostile reactions to stories they don’t like, you can see how people create narrow “silos” of information to protect themselves from anything scary or unsettling, how people are often even proud of how little they read and how little they know beyond their own experience. Which means that the seeds of Fahrenheit 451 are already here. That doesn’t mean it will come to pass, of course—but that’s why it’s a frightening book. It goes far beyond the gonzo concept of firemen burning books to destroy knowledge—it’s a succinct and frighteningly accurate analysis of precisely how our society could collapse without a single shot being fired, and a dark mirror of our modern age where unchallenging entertainment is available to us at all times, on devices we carry with us at all times, ready and waiting to drown out any input we don’t want to hear. HBO’s adaptation of Fahrenheit 451 doesn’t have an air date yet, but it’s still the perfect time to re-introduce yourself to the novel—or to read it for the first time. Because it’s always a perfect time to read this book, which is one of the most frightening things you could possibly say. What Do the Book Burning Characters of Fahrenheit 451 Represent?